With spring in the air, many people find themselves compelled to toss out old junk, donate unused clothes, and welcome the warm weather with a clean house. For others, this isn’t so easy. When people struggle with severe emotional attachment to their belongings, “spring cleaning” feels impossible—an emotionally draining, unwinnable battle. There’s a name for this compulsion to save and collect things on a massive scale, regardless of their perceived value: hoarding. It’s important to keep in mind that this condition is a lot different from being a run-of-the-mill clutterbug. Hoarding is complex and sometimes dangerous mental disorder that affects roughly 1.4 million people in the United States alone. It can lead to unhealthy living conditions for anyone in the home (including pets). An excessive accumulation of clutter – whether it be old paperwork or garbage – can cause tripping hazards for the elderly, trigger asthma, and result in unsanitary conditions for food preparation. Because there’s often judgement cast upon those suffering from hoarding disorder, people struggling with the illness might hide it from their loved ones or isolate themselves completely. Excessively acquiring unnecessary objects or items that cannot be appropriately stored. Persistent resistance to get rid of unneeded possessions, regardless of their value or usefulness. A resulting accumulation of possessions that clutter the home and drastically compromise a space’s intended use. Keeping certain rooms off limits to visitors and guests, or not letting visitors into their home at all. Struggling with traits like indecisiveness, perfectionism, avoidance, procrastination, and difficulty planning or organizing. Encourage the person to seek professional help. Many psychologists focus on hoarding specifically, and often work alongside a professional organizer to make a plan of action. Help move items or clean spaces—only if the person asks. 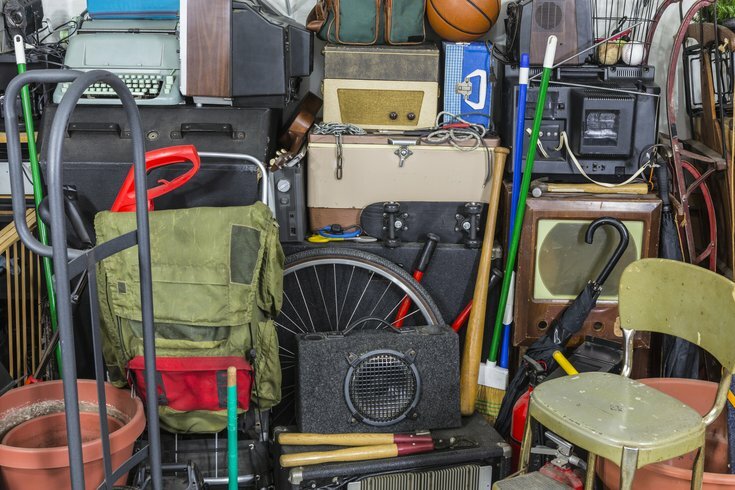 Removing items from a hoarder’s house without their permission can intensify the already destructive hoarding behaviors. Celebrate small victories, like throwing out or donating even a single item. While it might not seem boast worthy to anyone else, validating these small steps encourages the healing process. Reflect on whether any personal actions might be enabling their illness, like giving the hoarder money to go shopping, or letting the person store objects in space that does not belong to them.